Fridays was ABC's weekly late-night live comedy show, which aired on Friday nights from April 11, 1980 to April 23, 1982. 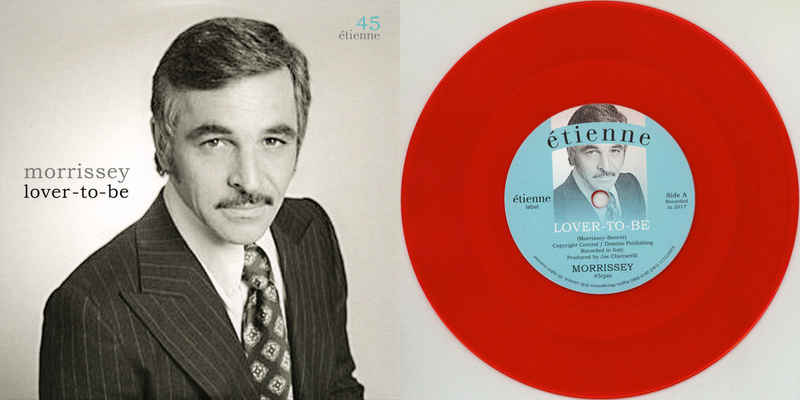 The program was ABC's attempt to duplicate the success of NBC's Saturday Night Live. At the time, SNL was in its fifth and (what was thought to be) final season featuring the original "Not Ready for Primetime" cast, along with several writers who had been promoted to feature player status, as well as newcomer Harry Shearer. The Fridays cast included Larry David, Michael Richards, Rich Hall and Melanie Chartoff. 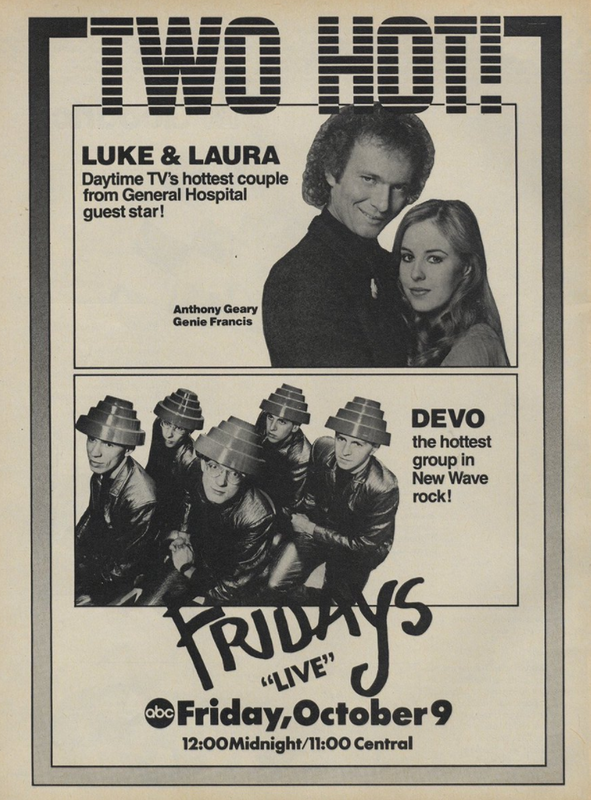 On Friday, October 9, 1981, General Hospital stars Anthony Geary and Genie Francis (Luke and Laura) hosted. GH was at the height of its popularity, with Luke and Laura's wedding just over a month away. Sketches in the episode included "Aborted Star Trek Sketch," "Ron the Ripper," "The Friday Edition," "The Man with a Major Overreaction to Minor Pain/Shatner Contacts Spock," "Friday Short Film: Little Girl Plays Baseball," "Fluffy the Dog Man," and "Friday Edition Special Report: Air Traffic Controller Strike." Kim Carnes performs "Bette Davis' Eyes," "Under My Thumb" and "Miss You Tonight." Watch clips from the episode below. Devo was the musical guest.